We talk with Rob and Dustin about common misconceptions about Christians and self defense. Welcome to Gun Guy Radio! the podcast that shines a positive light on the firearms lifestyle. I’m your host Jake and this is Zack the director of marketing at Lone Wolf Distributors. This is your weekly dose of positive firearms talk, without the politics. Zack - Sent my Caracal off to get the rear sight machined. Cleaned and organized my gun room. Dustin - Just shot my first 3 Gun match, did awesome. Spoke at a college monday, was shooting a little video today with a Savage Rifle, Shooting a Range day in Hemphill this weekend and then another speaking event Saturday at a wild game dinner. Help GGR: Shout out to Craig for all my short network cables Thank YOU Craig! We need 500’ of network cable from our amazon wish list. If we just love one another everything will be ok... right? 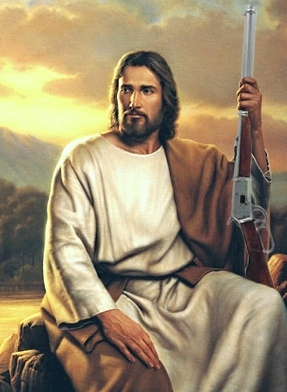 Anti-gun Christians - Just misguided? God actually calls us to protect ourselves and loved ones. Carrying a gun/knife legally for protection is not contrary to Christianity. Listener Email: Chris: Hello, I am just getting into the black guns. I purchased a DPMS 5.56/223 with no rear sight, just flat rail. I thought i am looking for a good match grade handle rail for CMP style competitions. I paid around $700 brand new, looking to break it in this weekend. I will pick up some magpul flip sights for now. I just got screwed for $55.00 on some Chinese made handle sight that wouldn't even fit my rails, go figure. I tried to take it back to Biff's gun world (No refund policy). The rails on mine must be different, due to placing the sight handle on guns he has in his store it worked fine. I Took the handle back and tried it again on mine, and still had play. From what I figure there must be different rails systems for me to figure out. Anyways, I would like a recommendation for a match grade handle rail, and a recommendation for a good optic system for this DPMS under $700.00 gun. I plan on some day getting into the 3 gun world. Steve: Just started listening to your podcasts a few weeks ago. I love the laid back atmosphere, the joking, and as everyone else has said it - no politics. Bob: I wanted to let you know how much I enjoyed the “Cowboy Up” podcast. I have a VERY small budget and have been building a collection of “Cowboy Guns”. I have a Colt Cowboy and a Rossi 92 ( both in 45LC.). Now I need another hand gun and a double. The hard part is finding gun leather for a BIG guy on a small budget. Your show gave me some great knowledge. Thank you I got my first lesson from two of the world’s best. Keep up the great job. Lyndon: Good show. But I'm getting tired of all the tactical stuff. How about a show dedicated to hunting arms or hunting calibers. Not just off the top of your head stuff as you often do, but well researched info and history. For instance, what calibers are derived from other cases? Who was Ackley and what did he improve? .257 Roberts? What about hunting bullet types? Kinetic energy vs. knockdown? Cases that are rimmed or rebated. Why? What is, really, a magnum? Weatherby? Scopes? 30mm vs. 1 inch. Objective lenses. This type of stuff is real world info that would appeal to a broad base, not just cops or guys shooting 3 gun or whatever. Reminder we need 500’ of network cable from our amazon wish list. Fat2FitHQ will be moved off this feed soon. Search for Fat2fithq in itunes and subscribe to it’s own feed.